Abbotsford is indeed quite a beautiful and historic city. It is an agricultural community too and there are numerous things that you can do when you visit it. 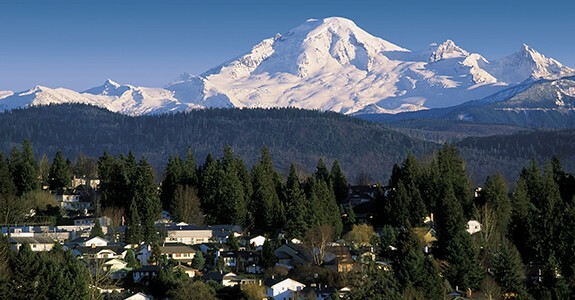 Abbotsford is considered the bread basket of Vancouver and has plentiful dairies and farms. Other than having a lot of wonderful dairies, Abbotsford is also home to raspberries and blueberries as well. However it must be noted that Abbotsford is not just an agricultural community and has plenty of culture and history as well. Abbotsford is a community based on different cultures; it has the South Asian Community, the Chinese and the Europeans. There are some historic sites like the hundred year old Gur Sikh temple. The structure reflects the hard work and toil of the Indian people. The building is a National Historic Site in Abbotsford now. Abbotsford has a diverse culture and it also is host to a multicultural festival to bring all the communities together. This article provides some cool and fun things to do during your visit to this beautiful town in British Columbia, Canada. Abbotsford is also a sports haven, being tagged “Sports Town” for the number of facilities available such as ice rinks, soccer pitches, indoor and outdoor courts, and swimming pools. It’s also a pinnacle stop on the trade-show circuit for shows like the RV Show, the Classic Car Show, the Horticultural Show, Antique Markets and Christmas shows. So you can sample the freshly produced, the locally made, the homespun, and then you can explore the rest of the platter that is being offered to you in Abbotsford: the history, the culture, and the activity. Mike Hopcraft is the kind of guy who knows that even the most exotic creatures have feelings too. It’s not just the cute fuzzy ones. The Reptile Guy houses rescues and those creatures that have been surrendered to him and he’s made it his life’s work to protect those most misunderstood by us: snakes, lizards, turtles, frogs, and spiders, and to educate us about them. Remember The Music Man? Well, thankfully, there’s not that stigma about the pool hall anymore. (Although, I suppose if you’re a teenager, you wish there was.) Anyway, come hang out at the “pool hall” and the bowling alley with your pals. Snooker. Pool. Arcade games, pinball. So hard to not be cool ‘round these parts. Back in the day, it was a stick and a string and a poor wriggly worm. And you had to hike uphill both ways in the snow in bare feet. Well, you’re in luck, at Silverbrook U-Catch, there’s a rod with your name on it (well, it doesn’t really have your name on it; you’ll have to share), a lake with your fish in it (really), and, chances are good, you don’t have to hike uphill both ways to get there. You even get to take your catch home with you for dinner! Yummy! Hope Granddad’s around for the gutting! Ever wanted to know where your milk comes from? Or teach your children that the milk doesn’t just arrive in plastic jugs? The EcoDairy is the first demonstration farm in Canada. In partnership with Science World, you can test your skills at milking a cow, meet the girls (i.e., cows) who give you your tasty beverage, watch the girls (i.e., cows) give their hair (coat) a brushing at the rotating cow brush. You can even shovel manure if you want! Turn it into a feat of strength. There’s a reason books like Diana Gabaldon’s “Outlander” series are so popular – we love to have the past recreated for us. It’s not the Scottish Highlands, but come see what life for a Canadian lumber baron was like in the 1920s, both in the house and gardens, and then take a stroll around beautiful Mill Lake. Don’t go to their website. No, don’t. You don’t want to see those pictures. Really. I’m only saying this for your own protection – you’ll get your laptop wet. Fine, you asked. Fresh, handmade cinnamon buns, almond croissants, bread pudding, lemon sugar buns, this privately owned artisanal bakery in Historic Downtown Abbotsford has all this and more, and then there’s the lunch menu! Stop by for a delicious and addictive experience. Maybe you’re hungry for adventure, adrenaline, and excitement? The Fraser Valley Mountain Bike Association can put you on the right path for that with any one of their network of trails across the Fraser Valley.